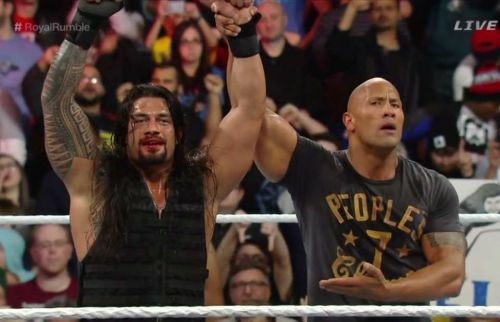 Was The Rock vs. Roman Reigns set for WrestleMania 35? Last Saturday, WrestleVotes - a reliable source who has broken wrestling stories such as Neville’s WWE departure, WWE switching to dual branded pay-per-views beginning at Backlash, and Bobby Lashley replacing John Cena in the World Cup tournament – released a rumor on the original plans for The Royal Rumble, which saw The Rock returning to win the annual event and challenging Roman Reigns for the Universal championship at WrestleMania 35 prior to Roman Reigns’ leukemia diagnosis. However, according to Dave Meltzer of The Wrestling Observer Newsletter, the claim that the WrestleVotes account has put out was false. On September 29th, the WrestleVotes account revealed that a repeat winner was penciled in to win The Royal Rumble in 2019. Let’s just say as of now, it’s a repeat winner. Many fans and media speculated on who could possibly be the 2019 RR winner, with the Rock heavily rumored to return to WWE in January and win the annual event. News broke that Rock was actually a betting favorite to win the rumble back in August, with Daniel Bryan and Seth Rollins a close second and third. The reasoning behind The Rock winning the rumble was meant to put over Roman Reigns, solidifying his status as a main eventer. However, Reigns shocked the world in late October by relinquishing the Universal championship due to a battle with leukemia. With Reigns out indefinitely, the plans for the former WWE Universal champion was immediately scrapped due to the heartbreaking news. On December 8th, the WrestleVotes account revealed that at one point, the plan was for The Rock to win the Royal Rumble and challenge Reigns for the title at WrestleMania 35. There hasn’t been much speculation in regards to who could possibly win the rumble next year since plans clearly had to change. However, according to a recent report at Wrestling Newsletter Observer, Seth Rollins vs. Brock Lesnar is currently penciled in for WrestleMania 35. Whether that means he’ll win the rumble or not remains unclear, but that could be a huge indication of the 2019 RR winner.